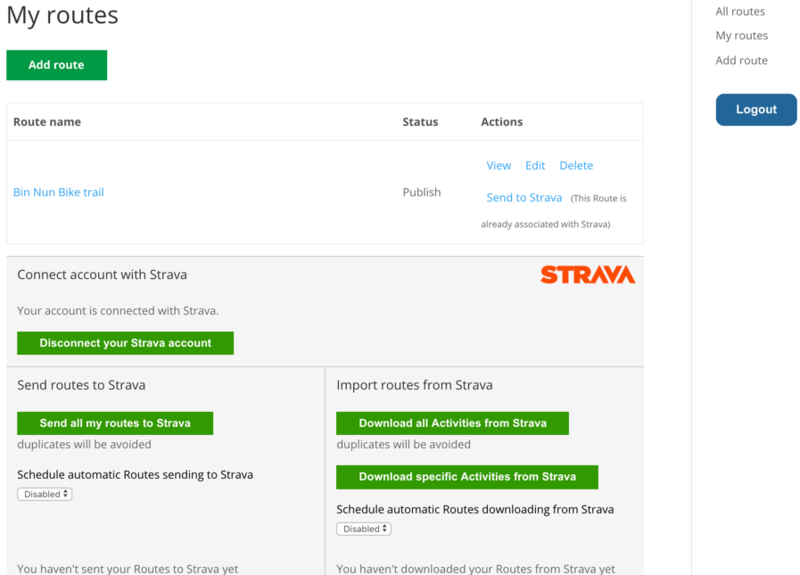 The CM Routes Strava Add-on for WordPress supports retrieving activities from Strava to the routes manager and posting routes stored in the routes manager to Strava. The add-on enables a box with Strava-related buttons. With it, you can manually or automatically upload and download activities from Strava. 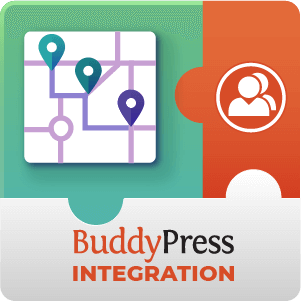 With support of shortcodes, these buttons can be placed in any place of the website. Strava is a social network focused on sports. 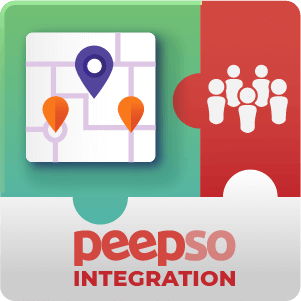 It allows athletes and enthusiasts to exchange information about running, climbing, cycling, and so on. The add-on is a perfect fit for Strava users, as it allows users to easily share Route Manager’s routes in the social network. 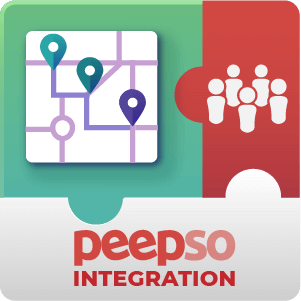 Users that still do not have an account also benefit greatly from the add-on, as they are able to connect with people who share similar interests and turn their activities into a more social experience. Get Social – The integration between Routes Manager and Strava allows you to share experiences with like-minded people. Automatic Download and Upload – Choose if activities should be sent and retrieved from Strava automatically every day, week or month. They can also be imported and exported manually at anytime. 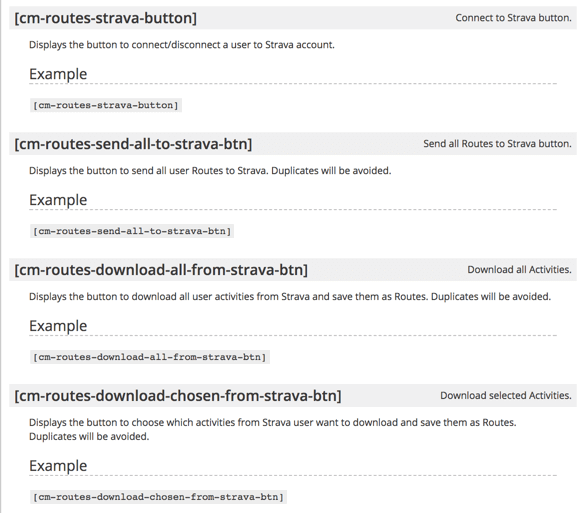 Seamless Integration – The add-on enables a box in My Routes Page with handy shortcuts to import and export data from Strava. 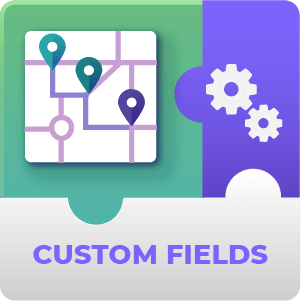 Customize Importing – Import only selected activities from your profile and choose if they should be published in Routes Manager right away or be treated as drafts. Shortcode Support – Eight new shortcodes allow you to add Strava-related buttons in other areas of the website. 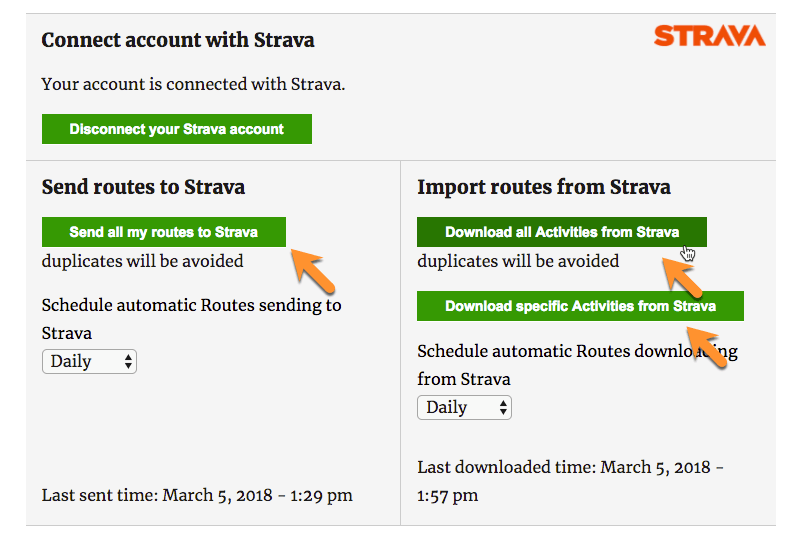 Limit Private Activities – You can choose whether activities set as “private” on Strava will be imported or not to Routes Manager, ensuring privacy. 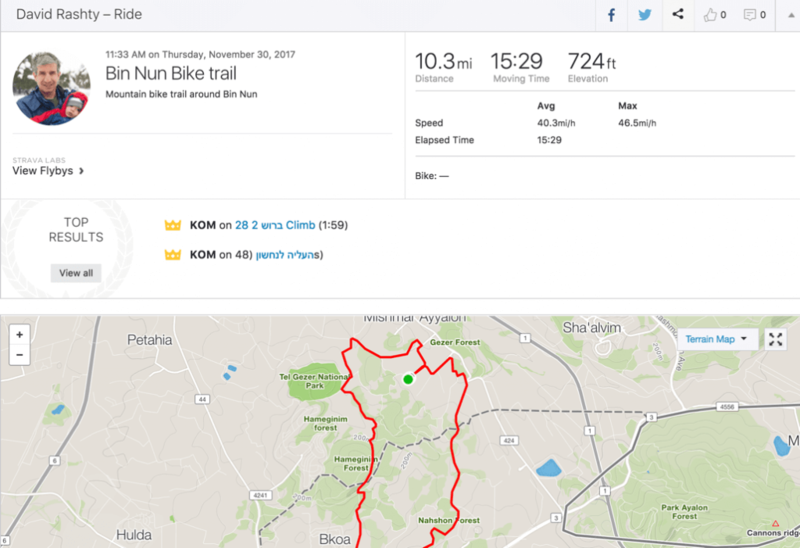 How do I link Routes Manager on my site with my Strava account? 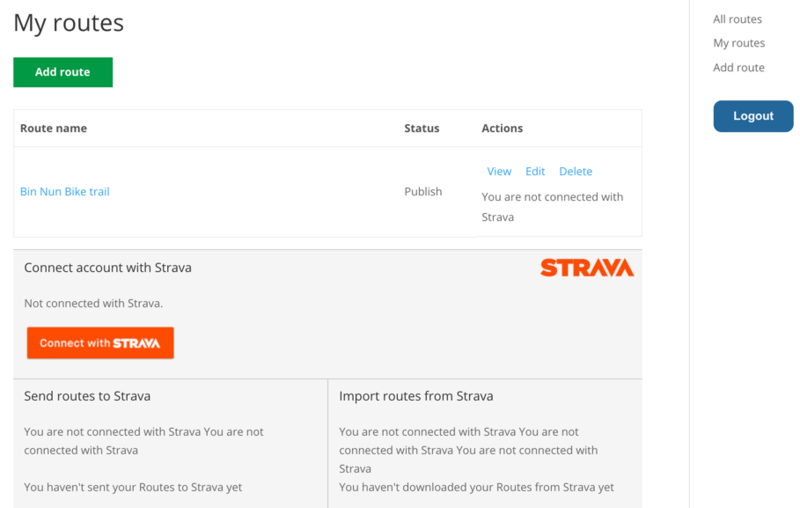 To link Strava with the Routes Manager Plugin you need to first install the Routes Manager plugin, then you will need to install the Routes – Strava integration add-on. 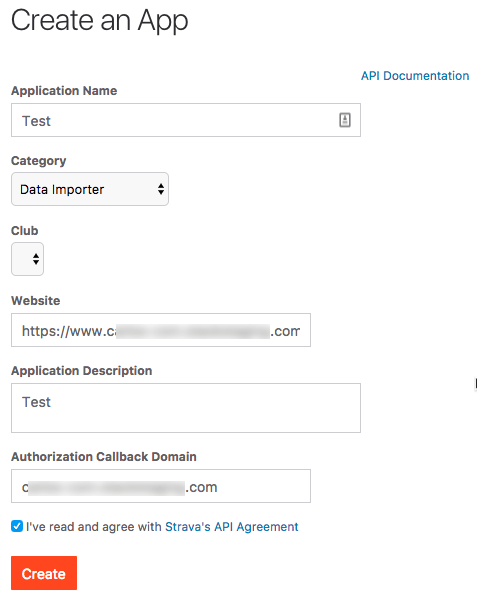 With both plugins installed, activated and with licence keys entered you will need to go to the Strava website and create an App to obtain API information (Client ID and secret key). After that all that’s left is to configure strava through the Plugin settings. Does this integration add-on allow me to Upload or Download routes from Strava? 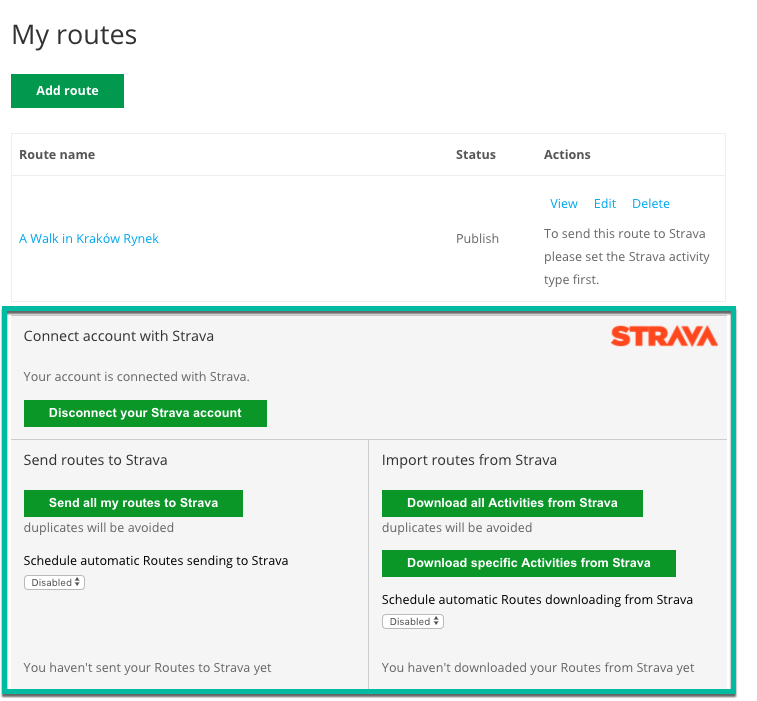 The add-on allows for both uploading routes from your Routes manager routes to Strava and for downloading routes from Strava to Routes manager. 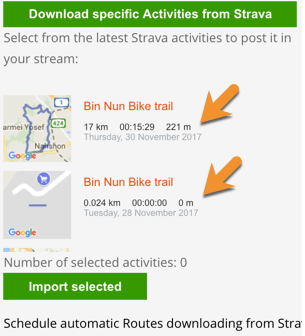 If I upload or download a route from my site to Strava or from Strava to my site, does the date show the original date or the date of the upload / download? That’s up to you. There is an option in the Configuration settings to decide where the date for the newly uploaded / downloaded Route should come from. I want to curate routes that are downloaded from Strava and for only some of my routes there to import to my Routes manager site. Is this possible? Yes. 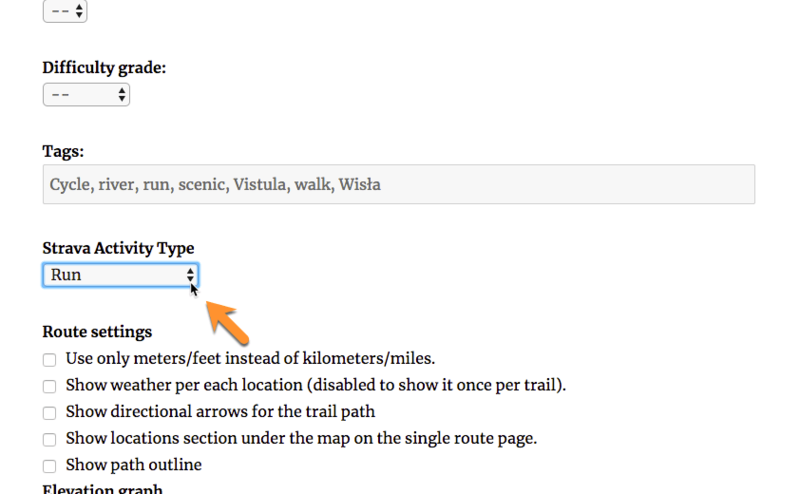 you can decide what status imported routes from Strava get either choosing Draft or Published. By Choosing Draft you will then have to publish the route manually through the Routes Manager settings. 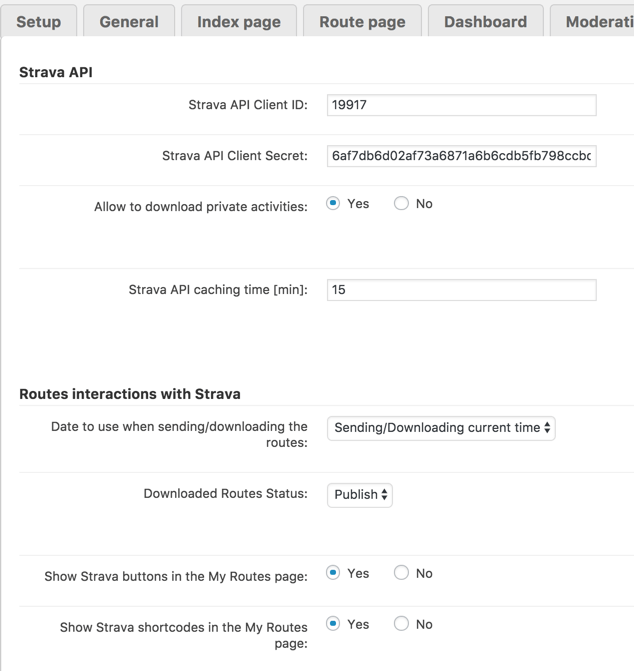 Does the Strava integration add-on only download my public route activity or can it also download my private activity as well? It can do either. You can configure it to public and private activity from Strava. This is done through the add-on configuration settings. 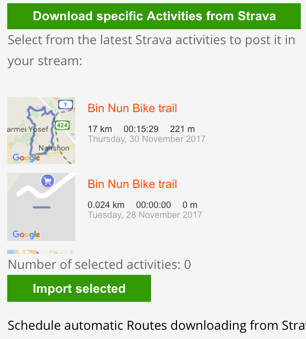 Can I Import / Export routes between Routes manager and Strava in bulk or only individually? It’s possible to do both. 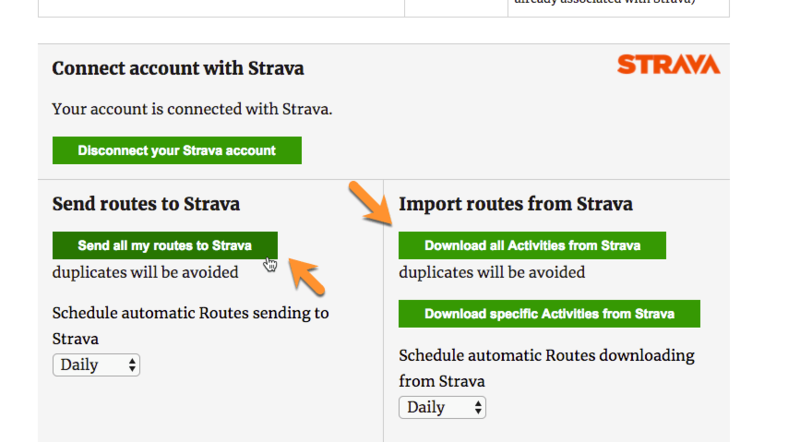 You can import or export routes either indivudually or apply a mass import or mass export of routes across all of the routes on your site or strava profile. 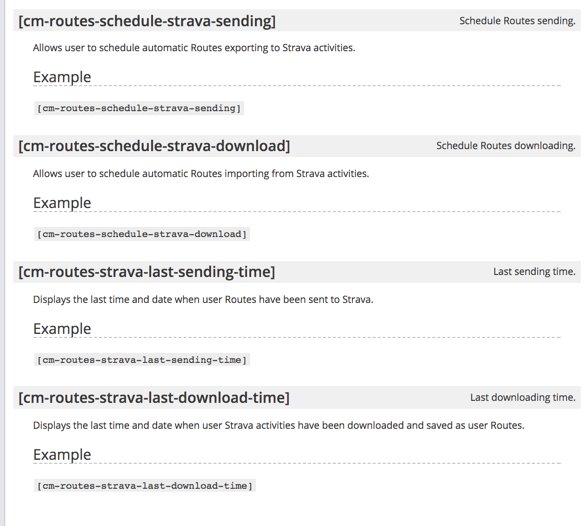 Are routes downloaded / uploaded between my Routes manager routes and Strava automatically or do I need to trigger it manually? You can trigger them manually or automatically depending on your preference. If you prefer you can do both, leaving the scheduled imports and exports running while triggering them manually when needed. Duplicates are not created by the add-on. Why are the routes displaying this message ("To send this route to Strava please set the Strava activity type first")? For routes that display this message you have not set a Strava activity type which is required for all Strava routes. Either while initially creating or later editing an existing route make sure to choose one.